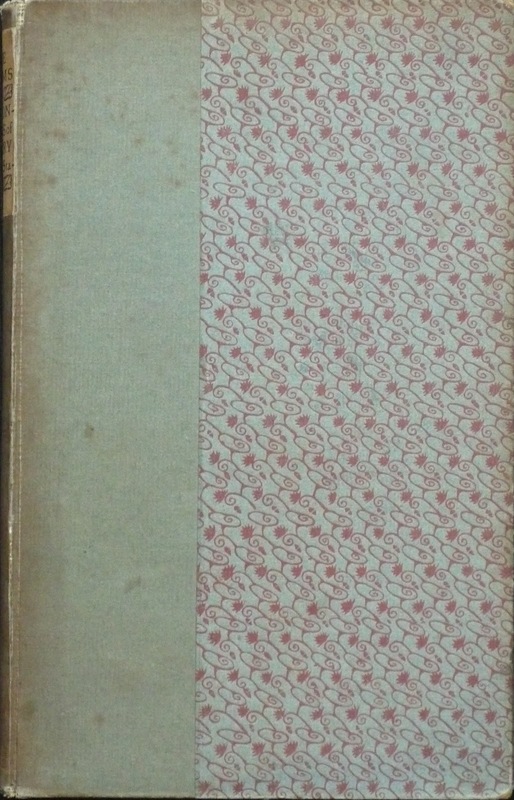 Literature, in its 30 October 1897 issue, listed as a recent publication a new edition of the Vale Press: Henry Constable's Poems and sonnets. A later review (15 January 1898) mentioned the annotations to the text, which was edited by John Gray, as correct and austere. Type and paper were also mentioned, but, obviously, the editors of the academic journal thought these details of printing beneath them: 'We do not know whether it would be correct to say that it is printed in black letter; at any rate it is black lettery. The paper is rough and tough, a papier de luxe; and you might think from the look of the page that you were reading an old volume that had been sent to Messrs. Pullar and subjected to some cleansing process.' The reference is to Pullar's Dye Works in Perth. The border for the first text page was later the subject of some comments, but the patterned paper for the cover was largely ignored. 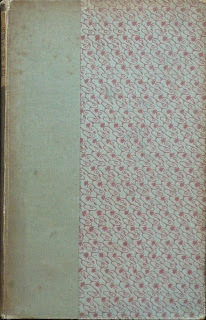 Charles Ricketts, who designed it, mentioned it in his Bibliography of the Vale Press: 'Bound in a flowered paper'. It seems to be a repetitive design of a leaf and an acorn connected by a twisted curled stem, but a closer look reveals that the pattern is irregular, and although the small acorn device can usually be found at the lower part of a curl, in some places it has been omitted. 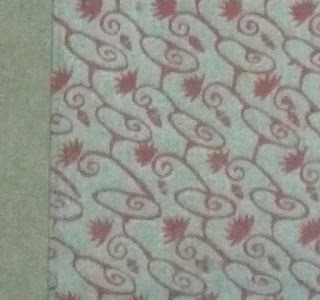 Detail of cover paper for Henry Constable, Poems and sonnets (1897): the acorn in row 3, left, is omitted. In some parts of the design, there was hardly enough room for the acorns, and instead of being positioned at the bottom of the curly stem, they were placed to the left of the curl (see the image), again omitting one acorn due to lack of space. 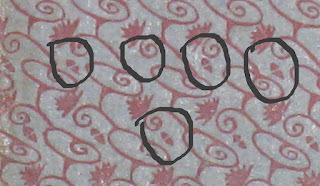 Detail of cover paper for Henry Constable, Poems and sonnets (1897): the acorns in the upper row are placed to the left of the curved stem, or omitted; in the lower row they are placed at the lower end of the curve. 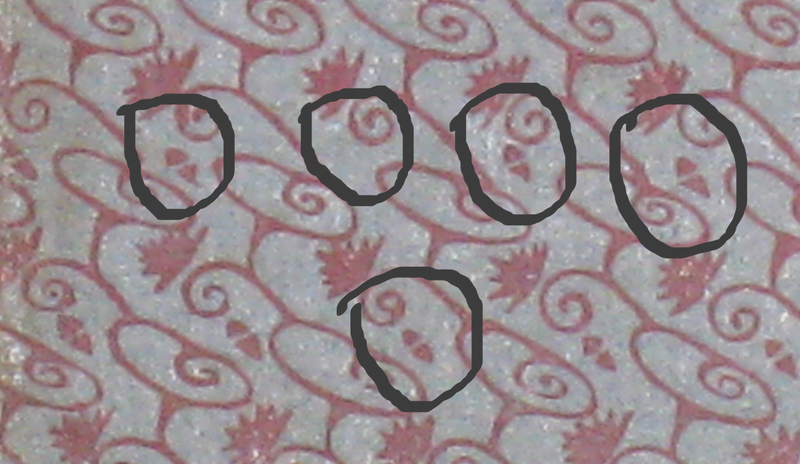 These tiny details (the image above is of an area of 50x20 mm) are responsible for the liveliness and individuality of the patterned paper; all rows - horizontally and diagonally - contain deviations and are not the straight lines they at first may appear to be. This can be seen in the light of the Arts and Crafts Movement's inclination for hand-crafted books, as opposed to the industrial production processes. 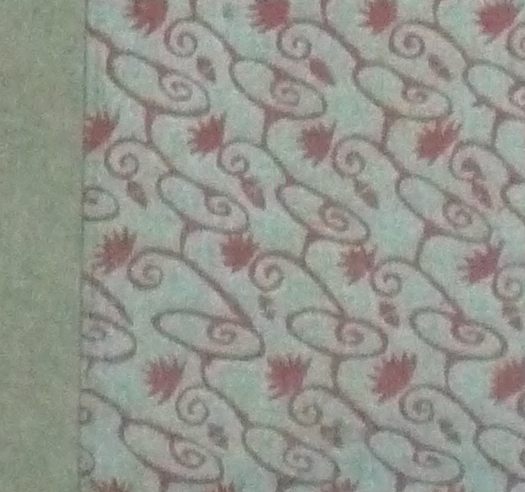 Ricketts, however, used modern techniques whenever he thought them fit, as in this case: the design for the cover paper was first engraved in wood and then cast as an electrotype.